PA officials reject effort by Trump administration to sweeten peace plan with measures aimed at improving economic situation. Palestinian Authority (PA) officials on Thursday scoffed at an apparent effort by the Trump administration to sweeten its peace plan with measures aimed at improving the economic situation in the PA-assigned areas of Judea and Samaria and Gaza. A top American official said this week that the Trump administration’s so-called “Deal of the Country” to solve the Israel-PA conflict will include what the White House is calling a robust economic plan to help resolve the conflict. But in a series of interviews with i24news, top aides of PA chairman Mahmoud Abbas and influential figures in his Fatah faction and the Palestine Liberation Organization (PLO) were unimpressed with the comments and gave no hint of backing off their boycott of President Donald Trump’s peace team. "Officially and diplomatically there are no contacts with the U.S. administration because of the Trump administration's decision to move the embassy to Jerusalem, but also because of what has leaked from what is supposed to be the deal of the century,” said Dr. Mustafa Barghouti, Secretary General of the Palestine National Initiative, a political party. “The Palestinians read these ideas and behavior of team of Mr. Trump as behavior that's trying to liquidate the Palestinian issue and substitute a political solution with some economic actions,” he added. "The attempt by Mr. Trump to impose on us what he calls the deal of the century, that is no deal, it's not really a compromise, it's not the result of any serious exploration of where we were and how we need to move forward, it is simply a giveaway…” Dr. Nabil Shaath, Abbas’ senior foreign policy aide, told i24news. "There was no real attempt to explore what are the rights of the Palestinians and what … the Palestinians want," he added. “The refugee issue was excluded and concrete steps were taken to stop funding for UNRWA... The third is that the West Bank is not occupied and therefore settlement is legitimate," he added. The plan has thus far been met with resistance from PA chairman Mahmoud Abbas and his aides, who have refused to engage with the U.S. in protest over Trump’s recognition of Jerusalem of Israel’s capital and his relocating the U.S. embassy to the city. Despite Abbas’ refusal to engage on the subject, Trump’s advisers expect the Palestinian leadership to read the plan and provide some realistic feedback and offer some proposals on how to improve it, the official said this week. Previous reports said the Trump administration is trying to convince Arab monarchies in the Gulf to invest hundreds of millions of dollars in economic projects in Gaza, in an attempt to calm the security situation in the coastal enclave and generate momentum before the White House presents its Middle East peace plan. However, the officials consulted by i24news made clear they had no fear of any countries publicly breaking with the PA leadership. "Never will I expect an Arab leader to tell his people I'm selling out Palestine," Shaath said. Majdalani suggested that even if some Arab leaders are privately supportive of the Trump administration, they would not publicly reveal it. 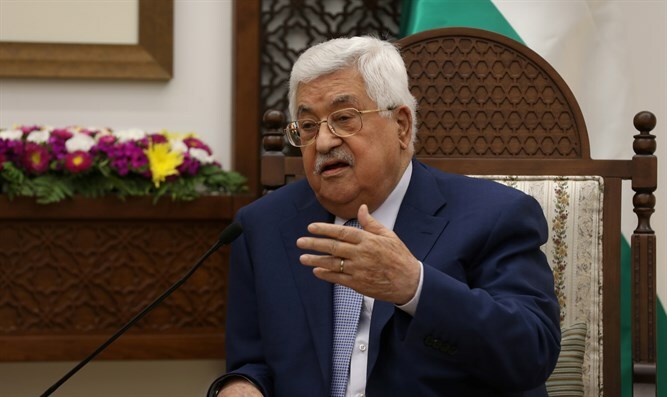 A National Security Council official responded to the report and told i24news, “No one has seen the plan, so the constant criticism by the Palestinian Authority of a plan they have not seen makes no sense and it not helpful to the Palestinian people." “Our plan focuses on what is realistic and what will make both parties better off. As we have said, both sides will find parts they like, and parts they dislike. That is the nature of compromise,” said the official.